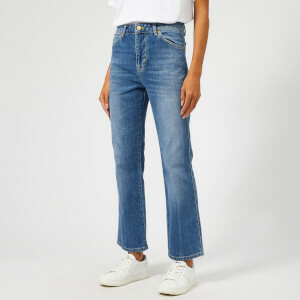 Women's boyfriend jeans from J Brand. 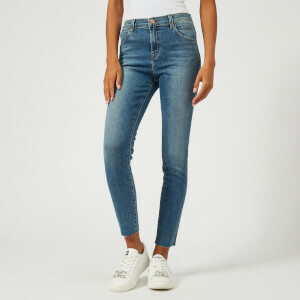 Crafted from stretch denim for comfort, the 'Johnny' mid-rise jeans have been cut with a boyfriend leg and showcase a classic five pocket construction. 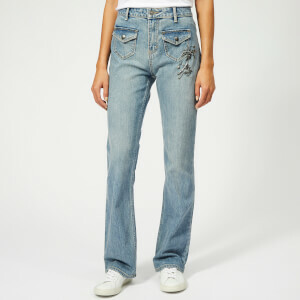 Contrast topstitching and slight, hand-applied whiskering at the hips creates a classic finish. Complete with belt loops, 'J'-embossed button fastening and zip fly. V-shaped rear yoke.